Silo gas has been a concern since the mid -1950’s. Every cropping season we continue to have individual’s that after exposure to silo gas end up seeking medical attention for Silo Filler’s Disease. Unfortunately, some individuals never make it out of an upright silo as gases create an extremely dangerous atmospheric condition. While these gases collect in the confined spaces of an upright silo, they are produced in horizontal silos and silage bags as well. Even though horizontal silos and silo bags storage structures in an open air environment, worker’s have been exposed to dangerous silo gases. One worker was repairing the plastic and punctured a bubble in the plastic cover. Since he was kneeling down the burst of the released gas went directly into his face. In another situation, workers were opening up a silage bag to complete filling from the previous day. Overnight as the forage started to ferment, silo gas was already produced and worker’s were exposed as silo gas was released from the bag. 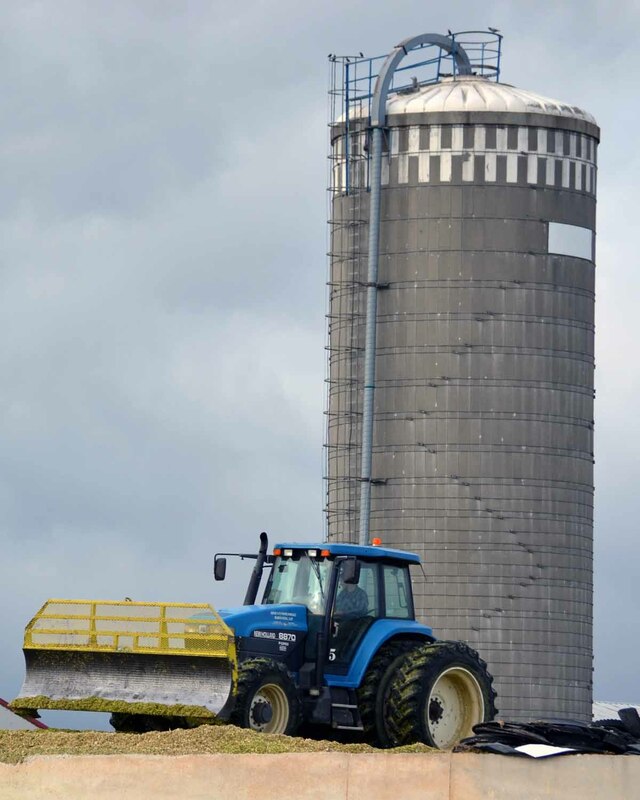 It is important that proper safety precautions are taken to prevent exposure to silo gas. If you are wanting to use a gas monitor for detecting silo gases, it will need to have a sensor for Nitrogen Dioxide (NO2) and the appropriate test gas for bump and calibration tests. It would be important to discuss this information with family and hired workers in the silo and feeding areas and around the barns. Watch out for Silo Gas! Stay Safe!